June 6, 2018 – Where better to celebrate my 64th birthday than the home of the Fab Four? Today we embarked on a trip to England for a two month hike through the English countryside and national parks. We hope to hike through the Cotswolds (marked on the map below in green), the Yorkshire Dales (pronounced Dells and marked in blue) and go cross-country on a Coast to Coast Walk (marked in yellow). We hope to encounter some midday sun. June 7 – We arrived at Heathrow after a no-drama all night flight, to stand in an hours-long queue at Customs that moved agonizingly slowly. We theorized that this was the Brits’ way of training newcomers to queue compliantly, like civilized folk. Just a theory. We eventually retrieved our packs and made our way via the London Underground (mind the gap!) to King’s Cross Station, where there actually is a Platform 9 3/4 for Harry Potter fans, and several Hogwarts shops. Photographers were doing a brisk business snapping would-be wizards running their trolley through the brick wall. The station also sported a huge tyrannosaurus just erected to advertise the latest Jurassic Park movie. We boarded our train for a two hour ride north to Leeds, where we will spend a jet-lag recuperation day prior to commencing our Dales Way hike. In our sleep-deprived state, we stopped frequently to ask for directions and for help with ticket machines and such. 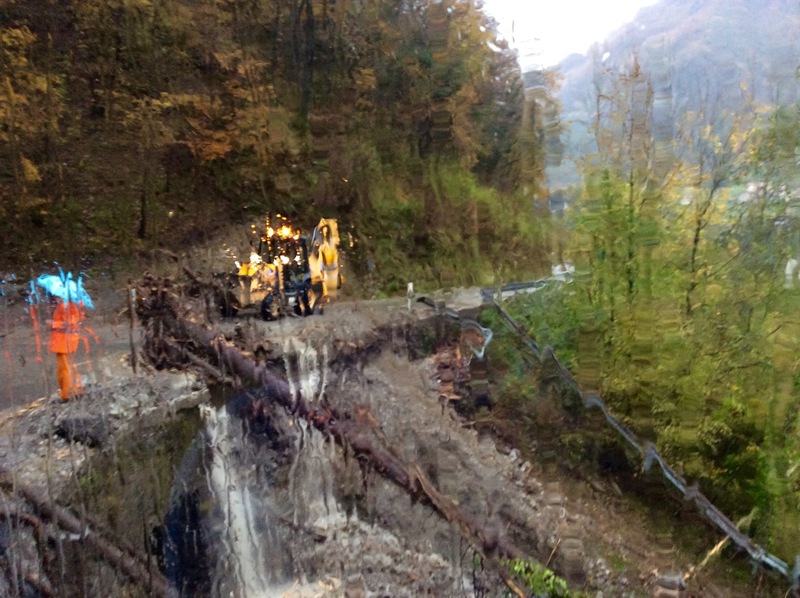 At every turn, the folks here have been smiling and helpful – Nice People of England! June 8 – After 12 hours of sleep (interrupted periodically by young men singing lustily about their favorite teams in the pubs below until the wee hours) we felt much perkier this morning. We looked out our hotel window to get an idea of the weather by what folks were wearing, and saw some in tee shirts and some in heavy jackets with scarves and collars turned up. We opted for jackets. We walked around Leeds, where the weather is chilly and overcast, scoped out some future food options, found a cash machine, and dropped a box of maps and supplies for our future hike off at the post office. We’ll pick it up farther north next week. It turns out you must also mind the gap at the post office. They have lots of gaps here. Leeds is a working class city with lots of shops and restaurants, that boasts absolutely no tourist attractions. The Who recorded an album here (Live at Leeds) back in the day. There are some nice brick buildings, and double-decker buses. Unfortunately, there are homeless people sleeping on the sidewalks here. I don’t take pictures of homeless people. A new use has been found for the old red telephone boxes! We had a perfect Kerala Indian lunch at Tharavadu, with three different curries and delicious thin naan. Spicy enough to make my nose run, but not so spicy that I broke out in a sweat. Yum! There are many Indian restaurants here, and they advertise which part of India the dishes are from. Kerala is southern cuisine. 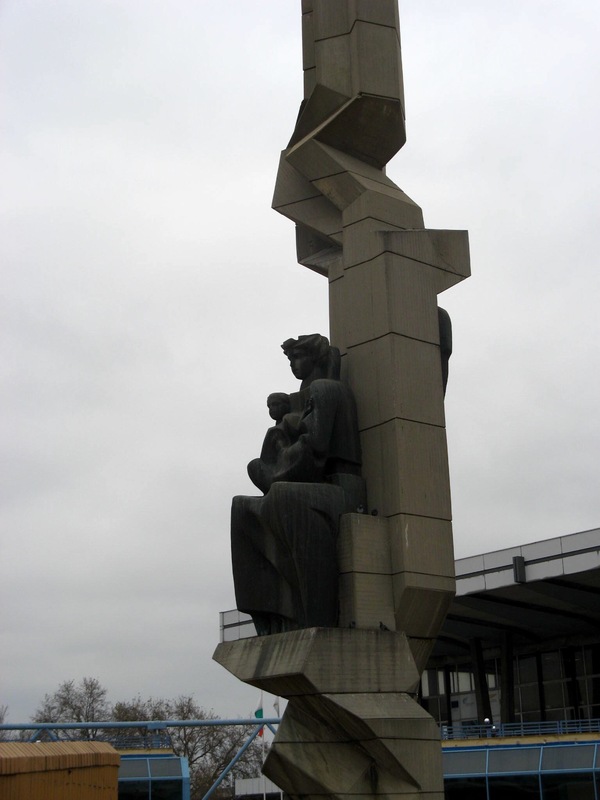 There are statues here, which seem to attract pigeons just like in other parts of the world. There is wall art here! A relaxing day. Tomorrow we travel north to Ilkley! 2/23 – We hung around our hotel today, listening to the construction above our heads as they rebuild the hotel after a fire. The goal was to give my arm a day of rest before subjecting it to another bumpy train ride. My throat is full of construction dust and my eyes are scratchy. I’ve had enough of Kazakhstan, thank you! We used the one finger method to catch a ride to the railway station. Best system ever! 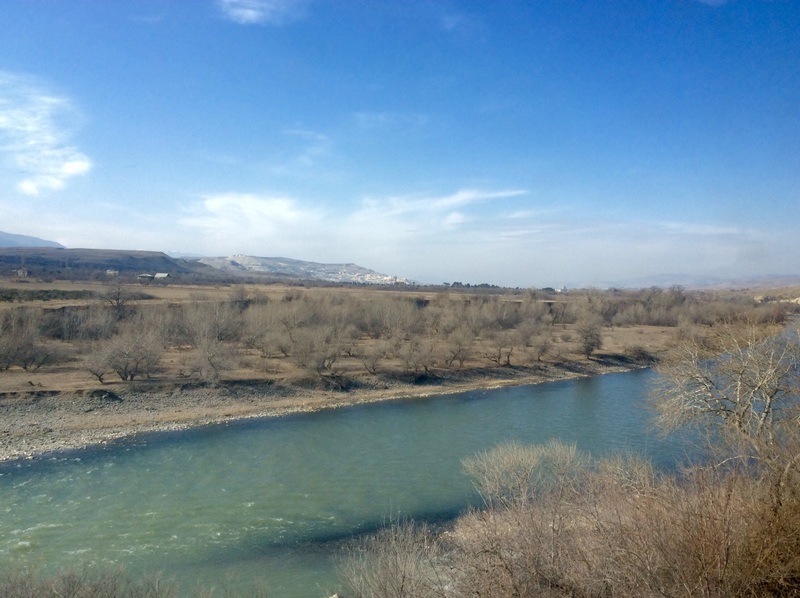 2/24 – Midnight train to Urumqi, China. This little cutie was very interested in my iPad. Had to cross over three sets of tracks and vault up onto the train. The conductor tried to help me up by grabbing my arm – ouch! Re-injured my shoulder. We have a four berth compartment to ourselves. In the morning, lots of cold desert. Discovered there was no dining car, as we had been led to believe by the Man in Seat 61. Hope we have enough snacks! 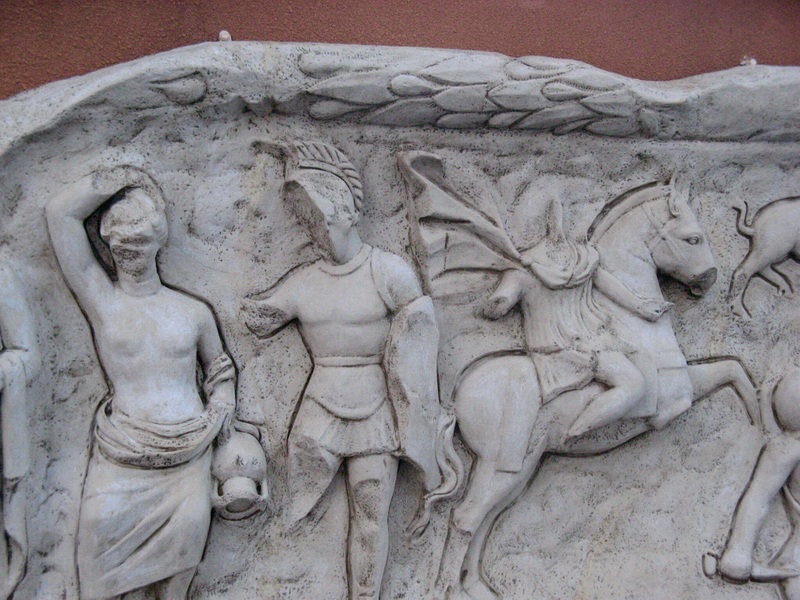 The path we are following is part of the ancient Silk Road trade route through the east. At 5pm our conductor indicated that we would be stopping for one hour, and could get something to eat in the station. We understand that this break is to enable them to change the wheels on the train, as the track gauge is different in China (Lionel vs. H.O.?). The menu was only in Russian, so we walked around the cafe, saw a tasty Asian stir-fry with rice at another table, and pointed to it. That’s how we get fed! By 7pm our room had been inspected by Kazakh customs. This was the first time our bags had been searched – we had to dump out the contents of our backpacks for inspection. By 9pm we repeated the process for Chinese customs. Bags searched again. They turned on my phone and were interested in the picture I had saved of the Istanbul metro – I wonder what they were looking for? The train started moving again at 11:30pm, and we adjusted our watches for China time, so it is 1:30am. Welcome to China! Not sure if we’ll be able to blog reliably from here due to censorship, or the Great Firewall of China, so please be patient. We’ll do our best! 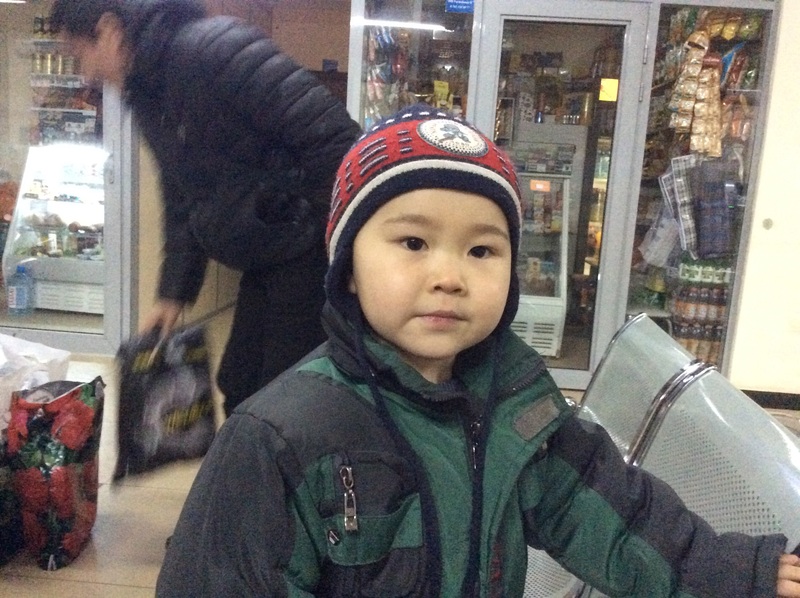 2/20 – Last day in Astana. The temperature got into the positive single digits today! Jim was worried about the effect the jouncing of the train would have on my sore arm, so he found a small pharmacy inside a clothing shop, and asked for pain medication. He came back with a tube that I was hoping was a topical analgesic, but turned out to be flesh-colored makeup to cover bruises, called Bruise Off! Such are the adventures of communication in foreign languages – and thanks to Google Translate for letting us know what we bought. 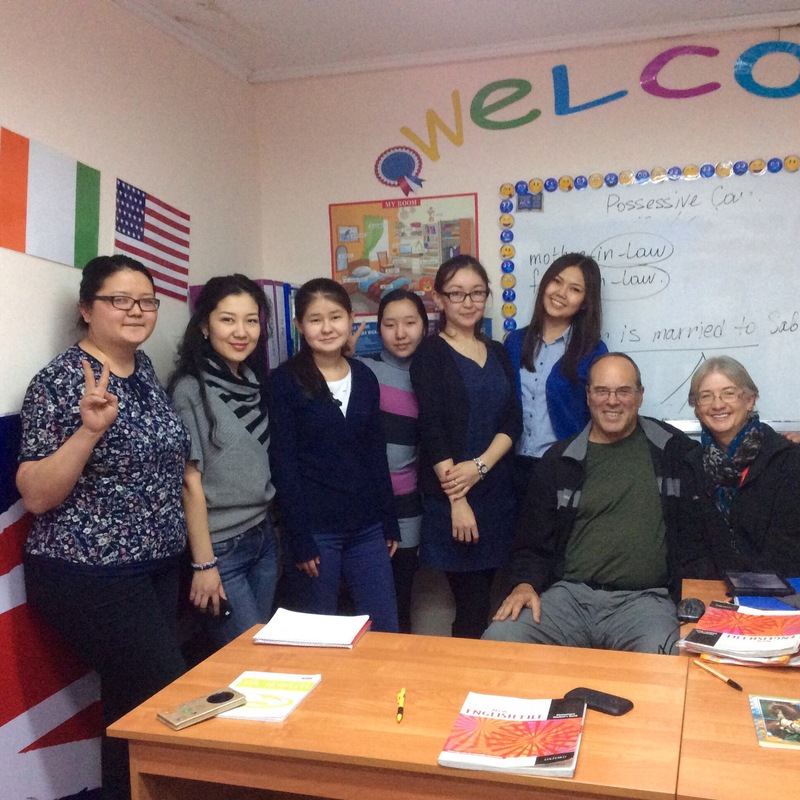 There is an English language school in our hotel, so we stopped in to talk to the students and teachers. They all agree that English is a good language to know if you want to travel. Someday, they would like to go to London and Paris. We negotiated with the front desk clerk to keep our room until 3pm. 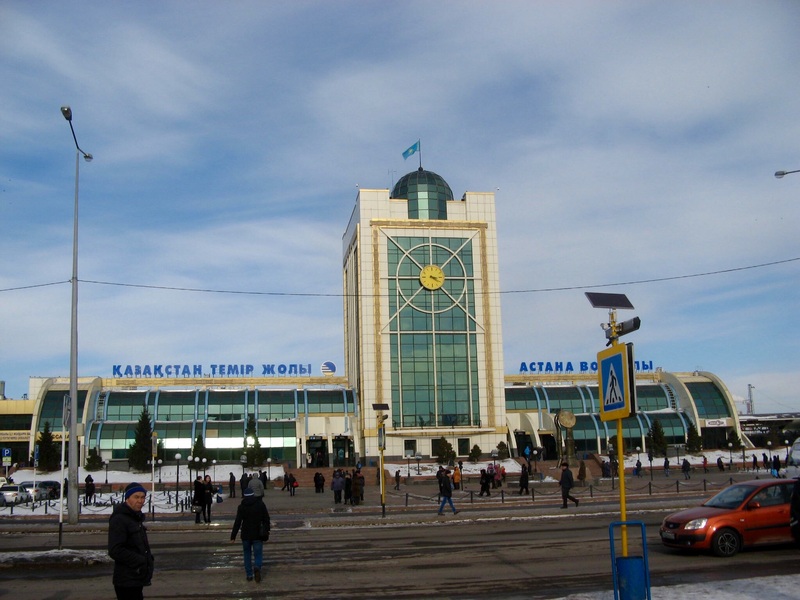 Our express train leaves at 6:30pm for the overnight ride to Almaty, our last stop in Kazakhstan. We’ll just hang out in the train station until it’s time to board. Here’s the train station in the light of day. We boarded our express train, and had our compartment to ourselves. After watching the miles roll by in the dark, we locked the door, got undressed, and turned out the light. At about 10:30pm we heard a furious pounding on the door. Uh oh, guess we’ll be sharing our compartment after all! Jim opened the door, and a woman in furs and high heels rolled a big suitcase into the tiny compartment. She started shrieking in Russian, waving her arms about, until the train attendant came and yanked her out. Evidently, she did not intend to share space with two undressed Americans, and suffer the indignities of climbing into an upper berth. A minute later, a young Kazakh man came in to take her place. He vaulted into the upper bunk, and all was well. 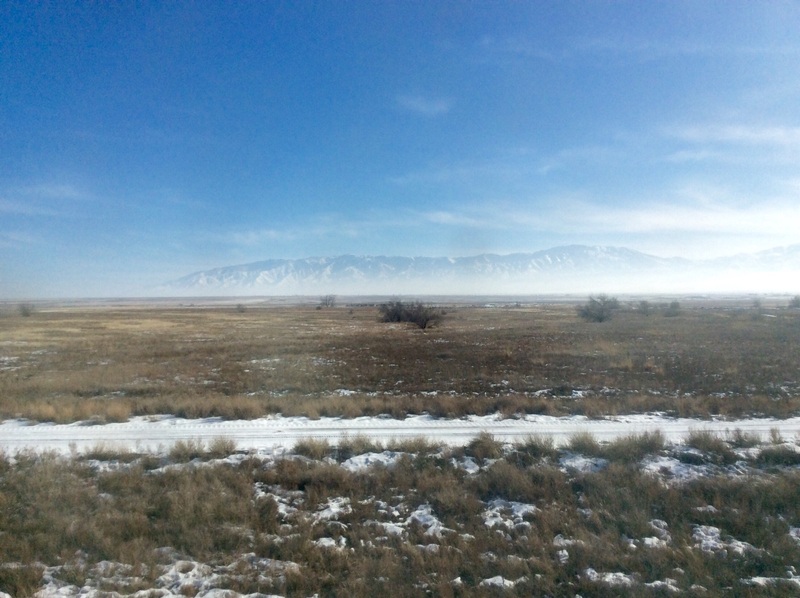 The train arrived in Almaty at 7:30 the next morning. We went to the ticket office to secure our next tickets, to Urumqi, China. 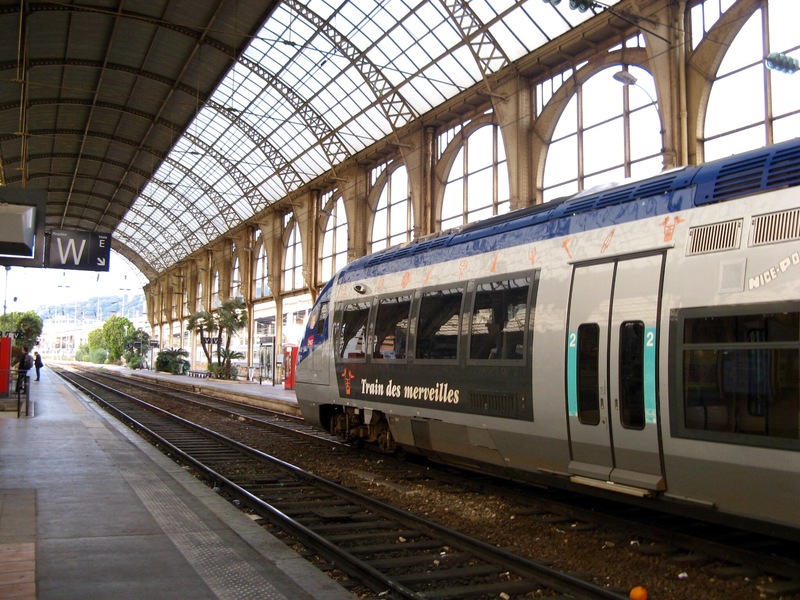 We read that we could save 8 hours of this journey by taking a series of buses, but we are comfortable with the train. There was only one ticket window open at this early hour, and the woman, who had no English, communicated that we needed to get our tickets from Window 7, which would open at 8am. When no one opened Window 7 at 8am, we went to the station cafe and had some breakfast, then returned. Window 7 still dark. We asked at all the other windows, and were told by each that Window 7 was the only game in town for tickets to Urumqi. We went to the Information booth to ask when Window 7 would open. The info lady walked with us back to the darkened window and read a note in Russan on the glass. She pointed to where it said 11:30. Oh no! We were punchy from too little sleep, and decided to go find our hotel and come back later. As we were shouldering our packs, she came back with an update – 9:30. It was already 9 o’clock, so we sat back down to wait. Sure enough, at 9:30 the little window opened, and we got our tickets. 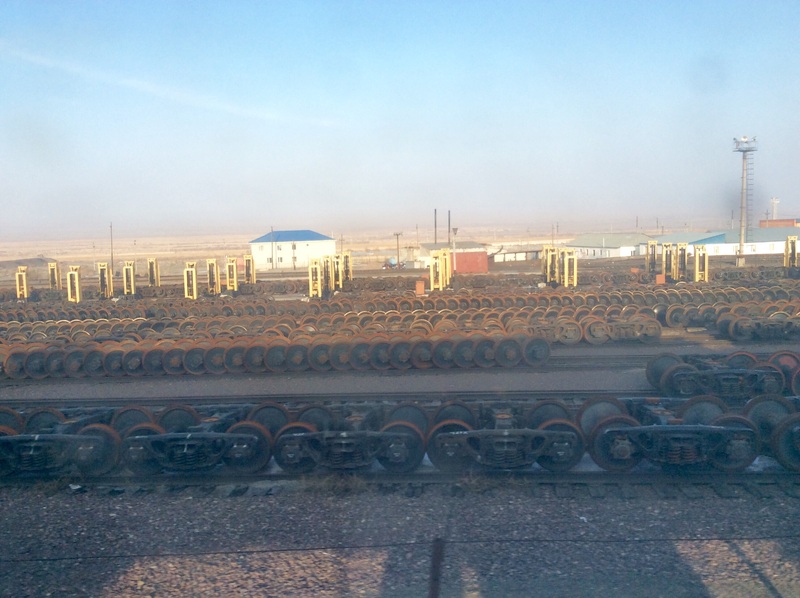 The train to Urumqi only runs twice a week, and leaves at midnight. As the Chinese New Year celebrations are still going on, we felt lucky to get the tickets. We walked out onto the street, through the gauntlet of men muttering “taxi” under their breath. Evidently, they are not licensed taxis, so try not to call attention to themselves. Jim chose one, and showed him the address of the hotel and a hand-drawn map showing where it was. It’s been our experience that taxi drivers have no idea of where you want to go, and if you don’t direct them, they are happy to drive around all day, running up the fare. We arrived at the Mark Inn Hotel, to find a construction zone. The reception area was filled with Sheetrock, and there was hammering, sawing and piles of debris everywhere. There was no one to check us in, and the owner was not on site. One of the workman called him and we spoke on the phone. Seems there was a fire, and they were trying to rebuild. Our room was fine, if you like noise and dust… Always an adventure! 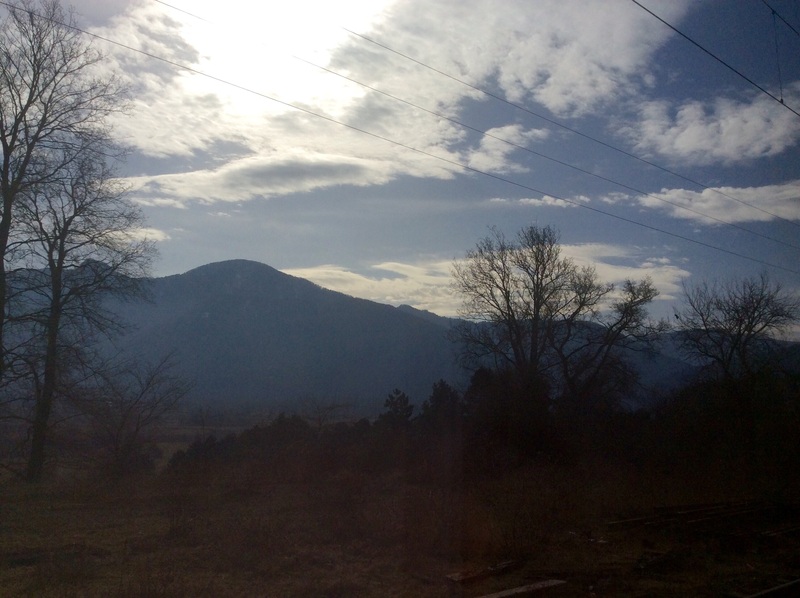 2/7 – another train ride day. 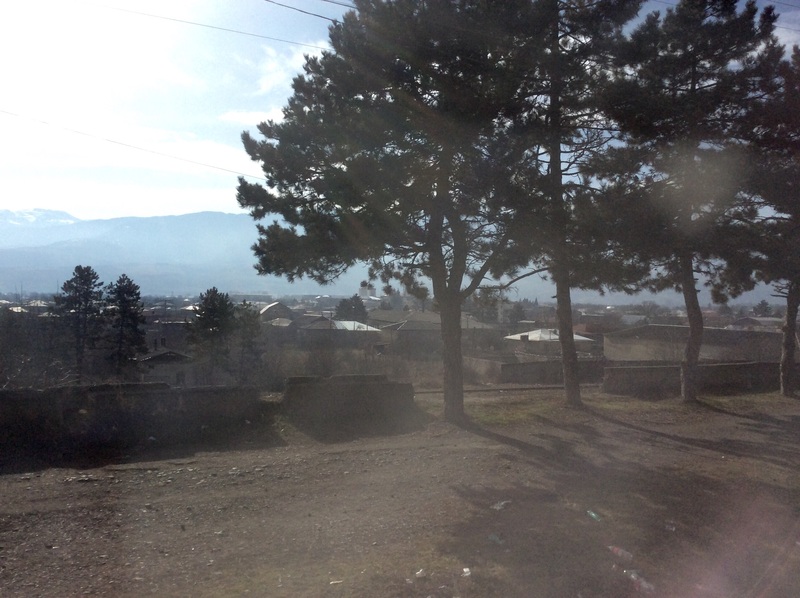 We left our lovely room at My Warm Guest House in Batumi, and took a taxi back to the train station. At 7:30 it was still pitch dark, and the waterfront was lit up prettily. Lots of casinos. 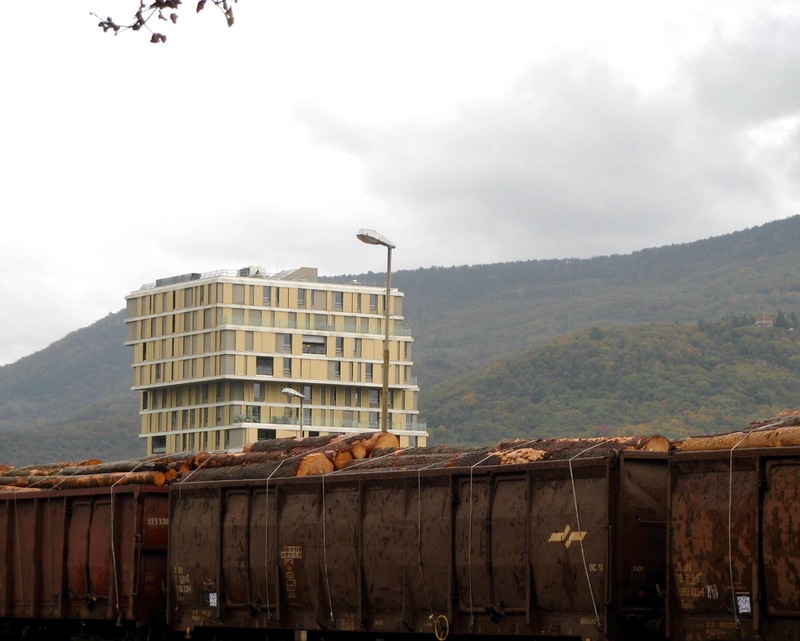 The 8:05 train to Tbilisi was modern and spacious. We sat in first class, as the tickets were only $2.00 more than coach. 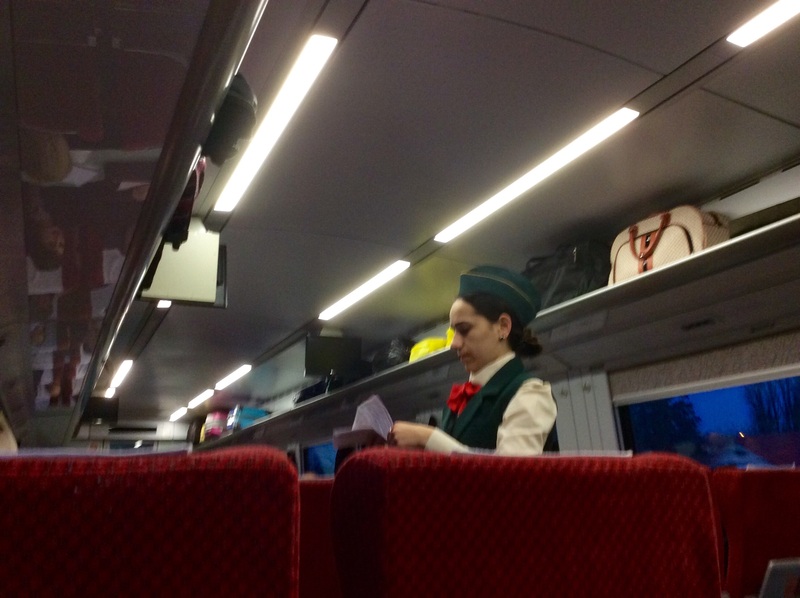 I was struck to see that the conductor checking tickets was a female – the whole time we were in Türkiye, it was very unusual to see women in any role other than mother or grandmother, shopping or minding children. 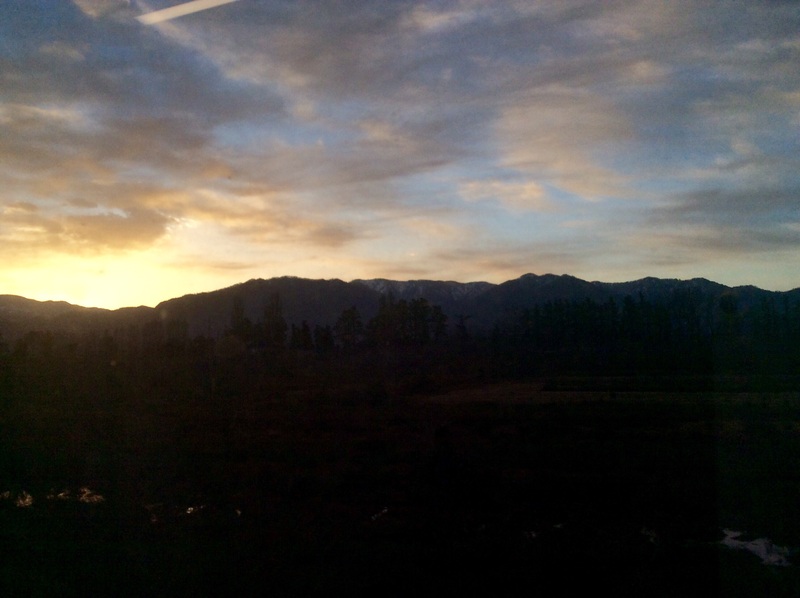 Here’s our sunrise from the train window. At one station, we could look right in a barbershop window. 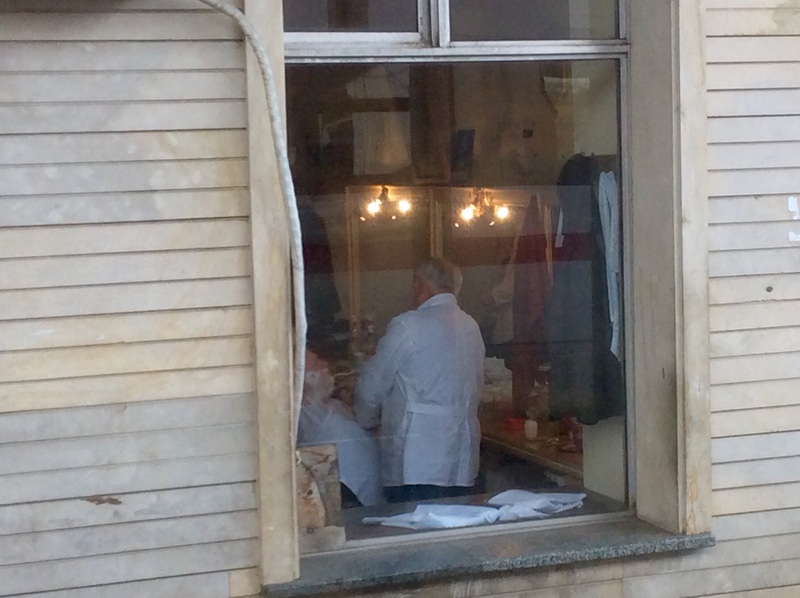 I like how the barbers wear white coats like doctors. The only remarkable feature of the ride was the number of liquor bottles in open use so early in the morning. 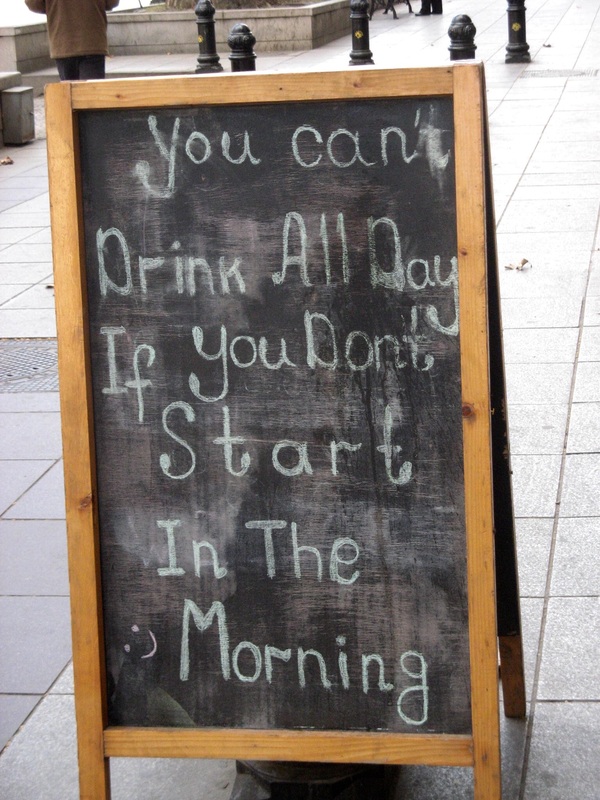 Here’s a sign that captures the sentiment. 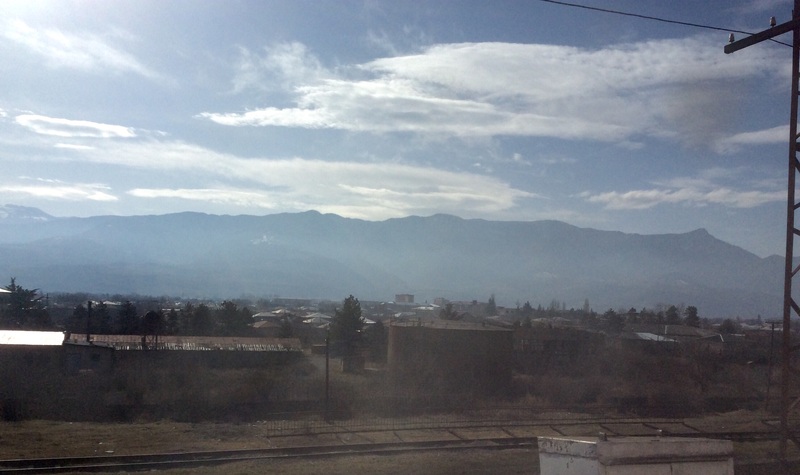 We arrived in Tbilisi by 2pm. This is a big, spread-out city, and our hotel is several miles from the train station. We asked at the Information desk,and was told that the taxi ride shouldn’t cost more than 5 lari ($2.50). We got into a cab, and the driver said it would be 20 lari. We got back out, and he agreed to 10, but wouldn’t agree to 5. The next cab had no problem with 5. We were at our hotel in 15 minutes. Here is an interesting statue on the corner of our street. 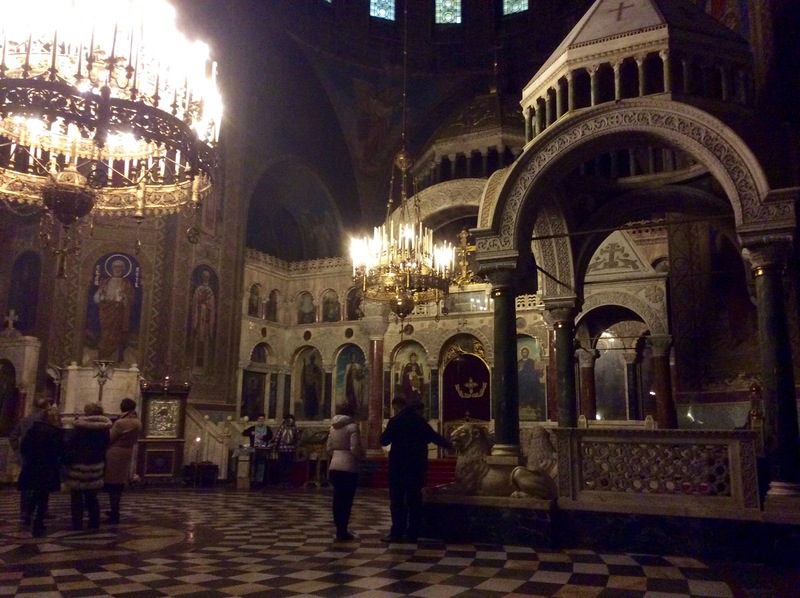 12/4 – We have only a few more days in Istanbul. Friday we will pick up our passports from the Chinese Consulate, and Saturday we head south to see other parts of Türkiye. 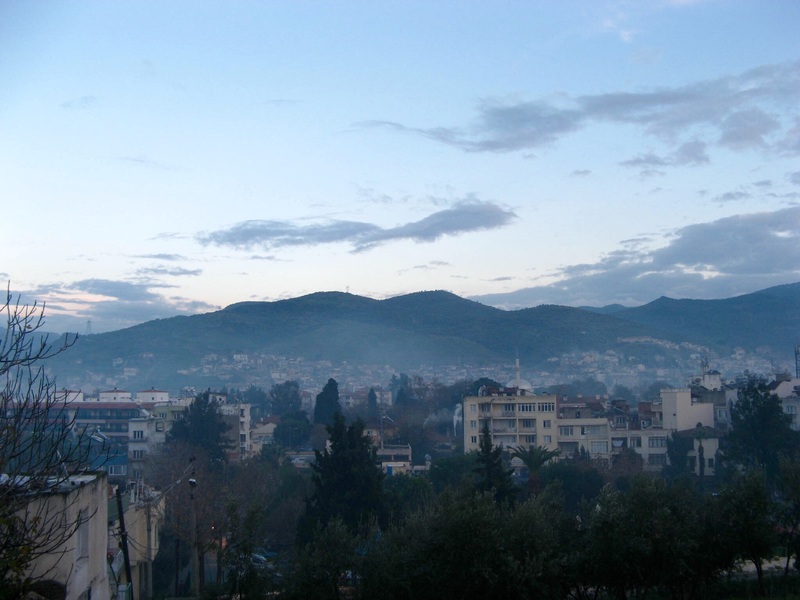 We walked north today to get our train tickets to Izmir, which will get us close to Selçuk and the ruins at Ephesus. 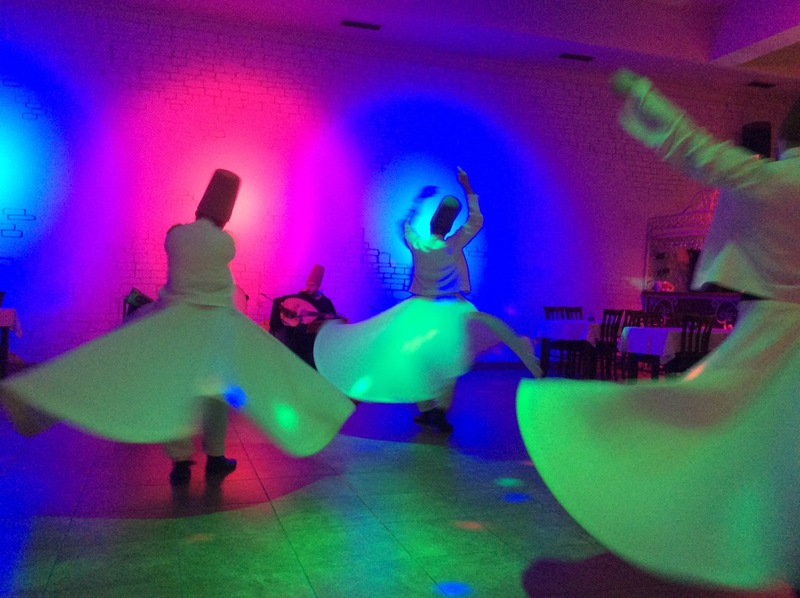 On the way, we passed a restaurant advertising a Whirling Dervish demonstration, not too far from our pension. Jim said, “I think this is something you would like to see.” So, we are going tonight! When we arrived at the train station, the ticket seller had no English, and seemed to be telling us there was no train to where we wanted to go. 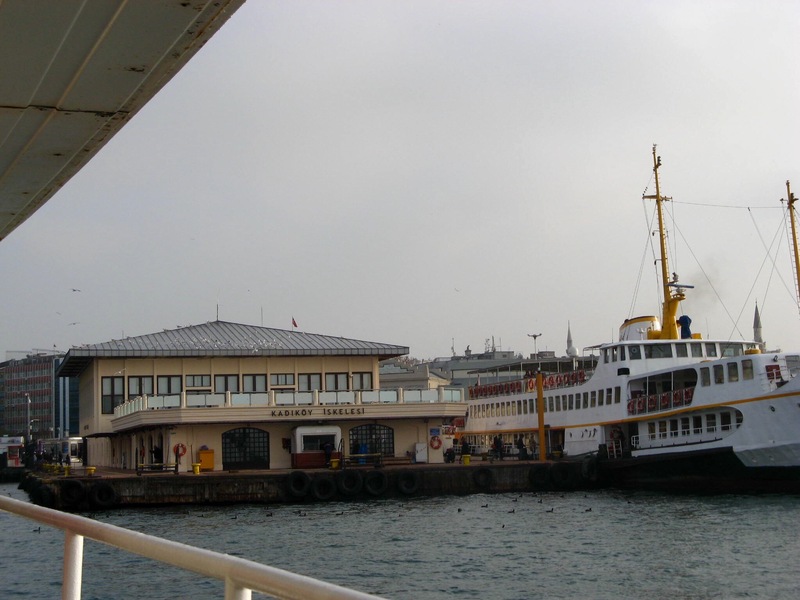 I had spent a lot of time researching on line, and knew we had to take a ferry to a Metro to a bus to catch the train 20 miles east of Istanbul (there are no trains running directly into or out of Istanbul until their rail upgrade is completed sometime next year). 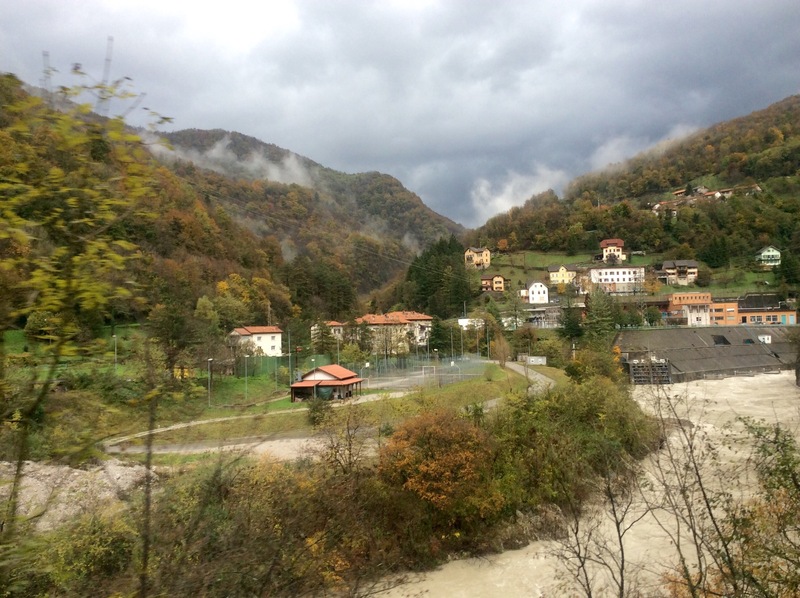 We had one more travel day on our EuRail pass, and this would be our last chance to use it. We went next door to Tourist Information, and asked again. No, the man said firmly, we would have to take a bus. Remembering our nightmare entry into the country, we allowed that this might be true. He directed us to a travel agency two blocks away. This didn’t feel right… We’ve always dealt directly with the train company, not a private agency. The travel agent said we could take a 10 hour bus ride, but why not fly and get there in an hour? And why not hire a shuttle to and from the airport? 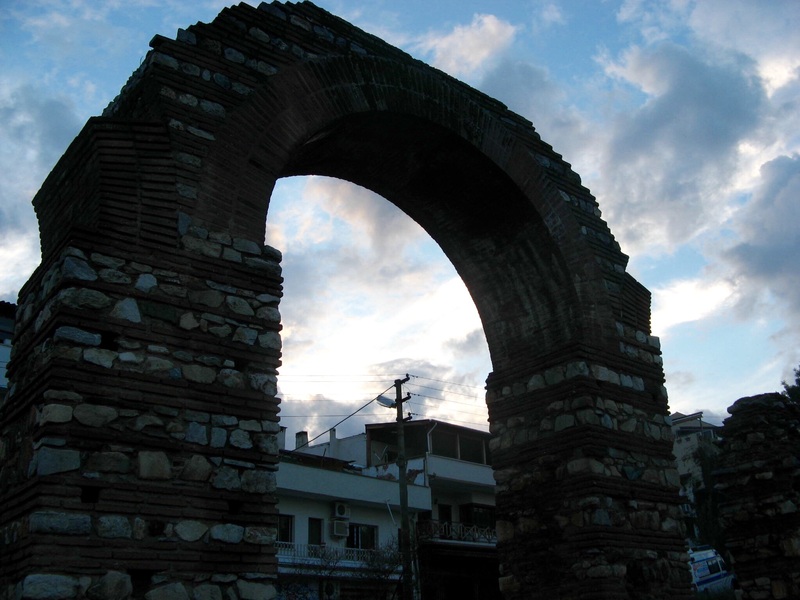 And better also arrange a tour, as people can’t get from Selçuk to the ruins of Ephesus on their own. Jim thanked the man for the information, and marched us out of there. It was too slick, and smelled fishy. Back we went to the train station. This time we got another agent, and determined that there WAS a train after all, just like I had researched. Whew! 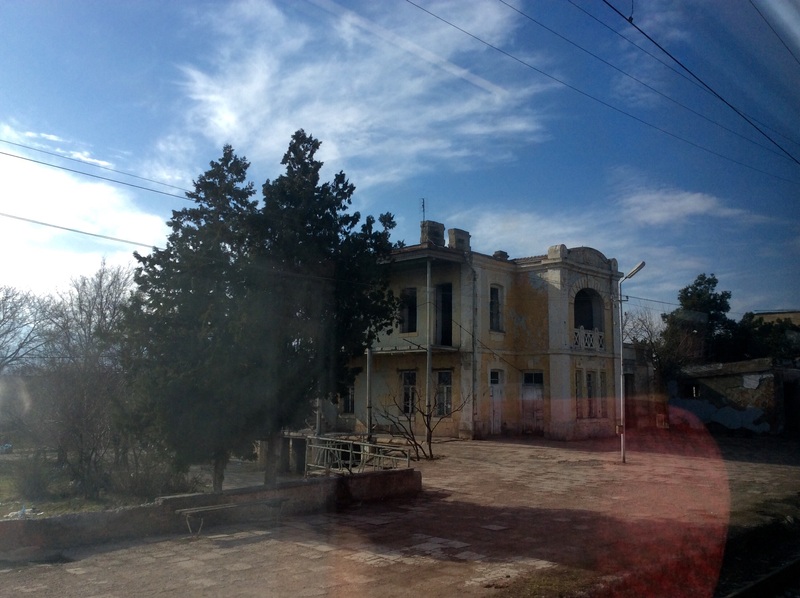 20 minutes later we had our tickets for the train from Pendik to Eskisehir, and the overnight sleeper to Izmir. We walked next door to the ferry terminal to make sure that wasn’t going to be any sort of a problem. Looks like our Metro Card will get us across the Bosphorus for 2 lira. Yay! We’re back in business. While we were in the city, I wanted to see if I could get a refill on my allergy prescription. Unlike other countries we’ve visited, it is not clear what a pharmacy looks like here. We went into a likely looking shop that had a vitamin display in the window, and found a guy in a white coat behind the counter – a good sign. I showed the package to the pharmacist, and he brought out the exact same name brand med, no prescription needed, and charged $7 for a bottle that costs $120 back in the US of A. Don’t know what to say about that, except I’m glad to have my medicine. Maybe I should stock up? 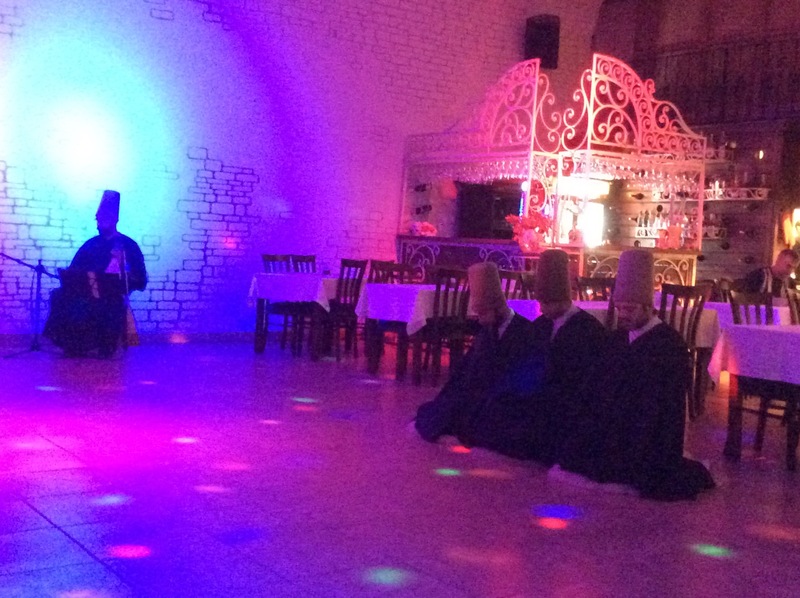 After supper we walked to the restaurant to see the Mevlevi, or Whirling Dervishes. The restaurant folks were disappointed that we were not eating in their establishment, but we figured the $40 cover charge was all they were going to get from us tonight. Lighting was provided by a very-80s disco ball, which gave the whole place a colorful, pulsating and surreal quality. 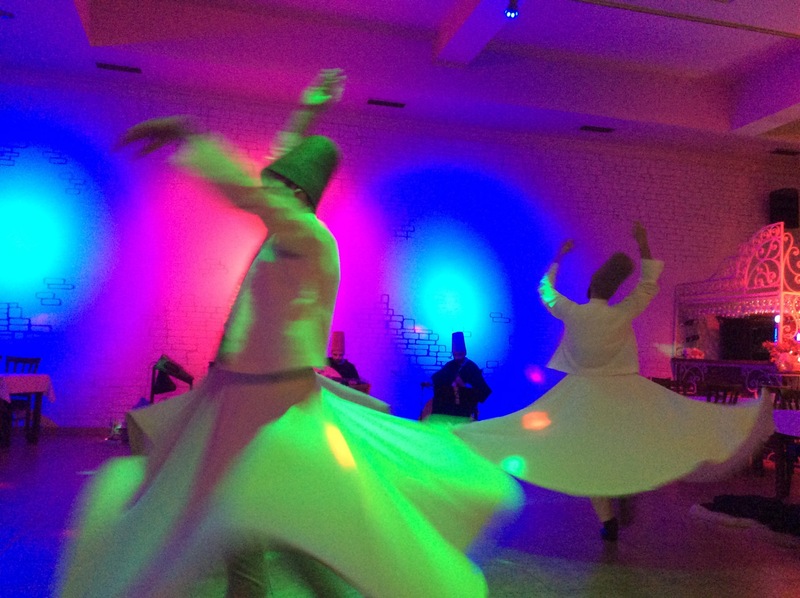 Followers of the poet Rumi, the Sufi whirl in ecstatic joy. 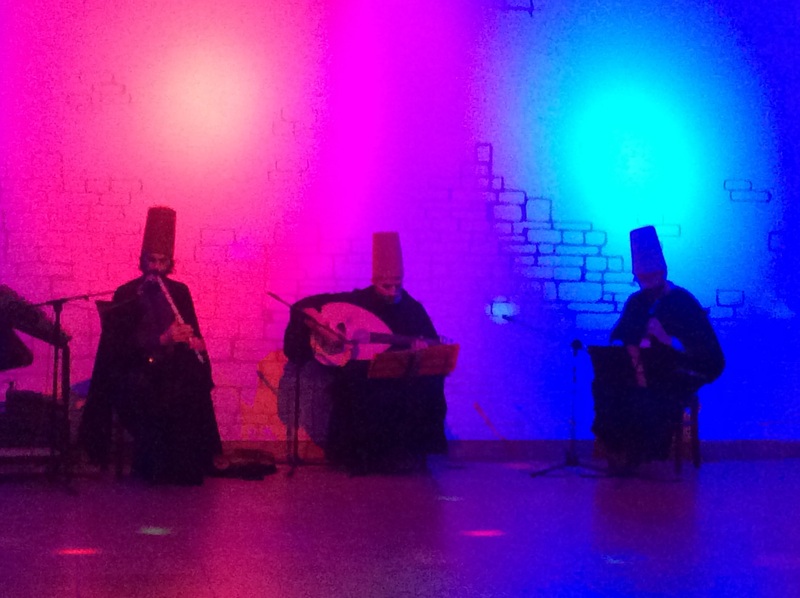 First came three musicians – one playing a stringed instrument that sounded like a viola, one playing mandolin, and the third playing a bamboo flute, who was also the vocalist. 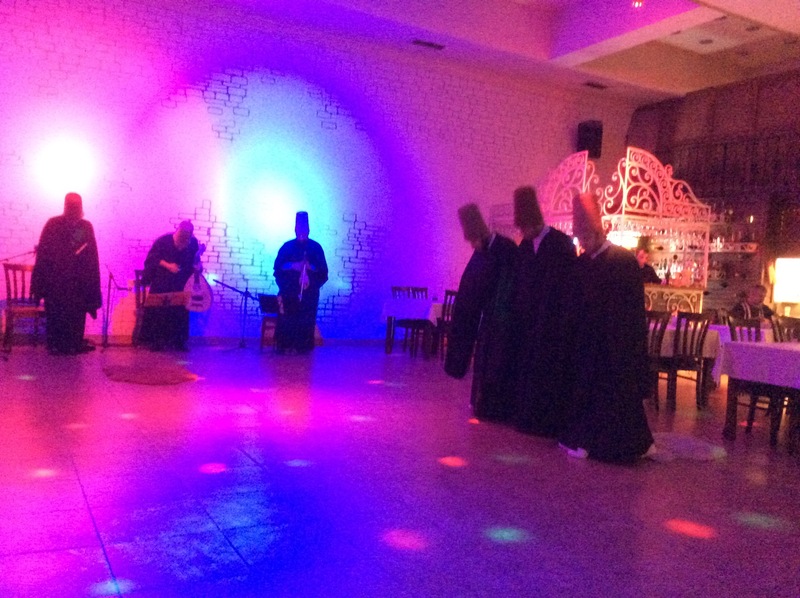 After a while the three dervishes came out in black robes, bowed and knelt for a period of meditation while the music played. Then the three cast off their black robes to reveal white costumes with wide skirts. 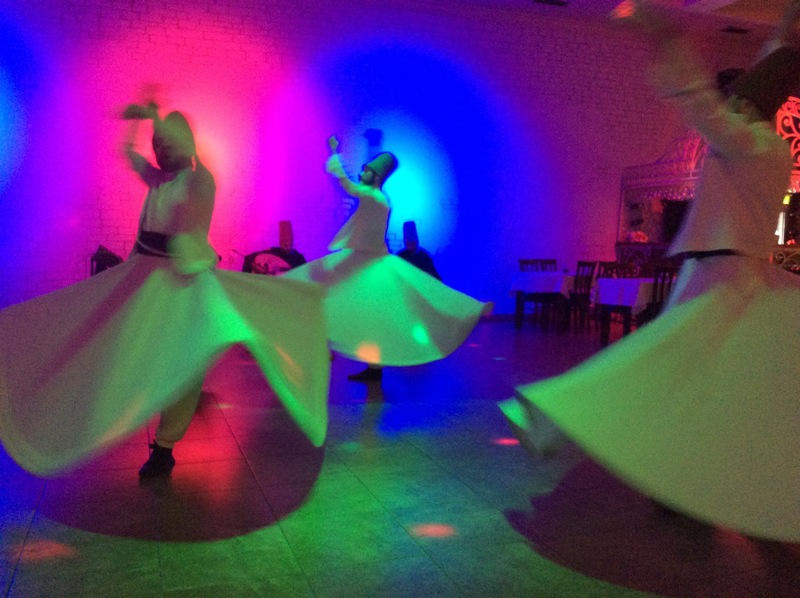 One by one, they bowed, then started to whirl, arms raised, eyes closed, skirts creating a breeze like room full of ceiling fans. They rotated, and also revolved around the room. They were graceful and looked serene, never faltering, losing step or appearing dizzy. 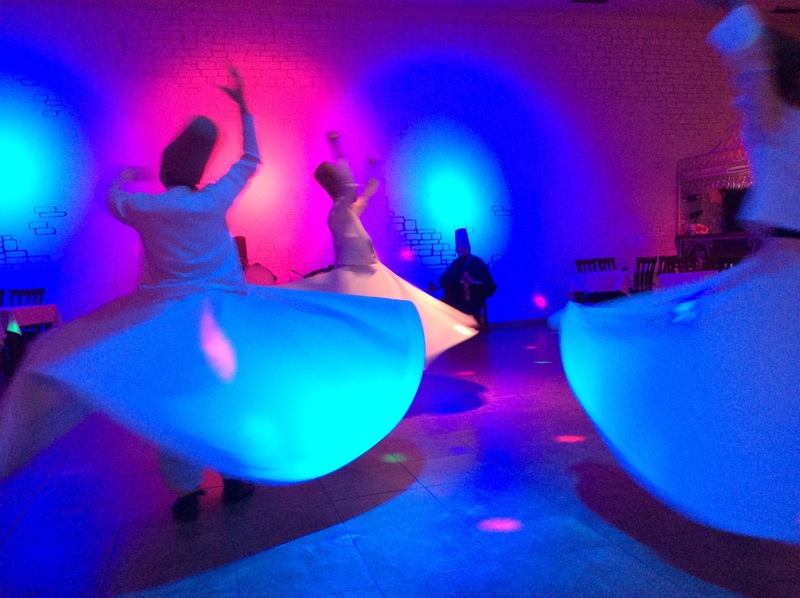 They whirled for a long time. 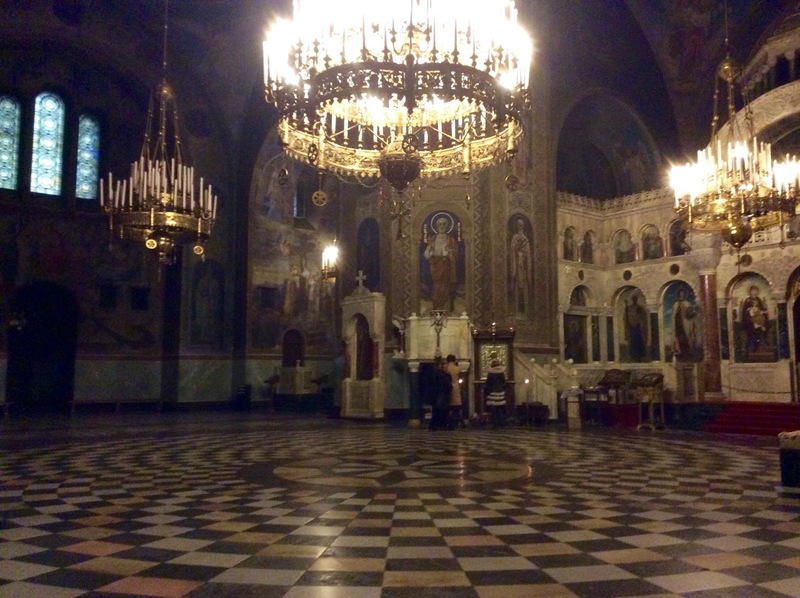 11/21 – We walked back to a very quiet train station at 9:30 last night to board our overnight train to Sofia. 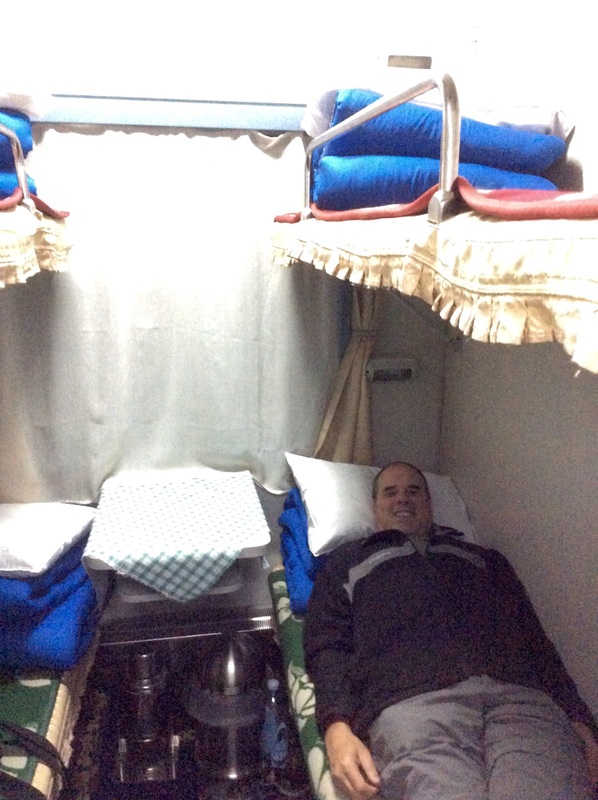 This was my first time on a sleeper train, and I wasn’t sure what to expect. 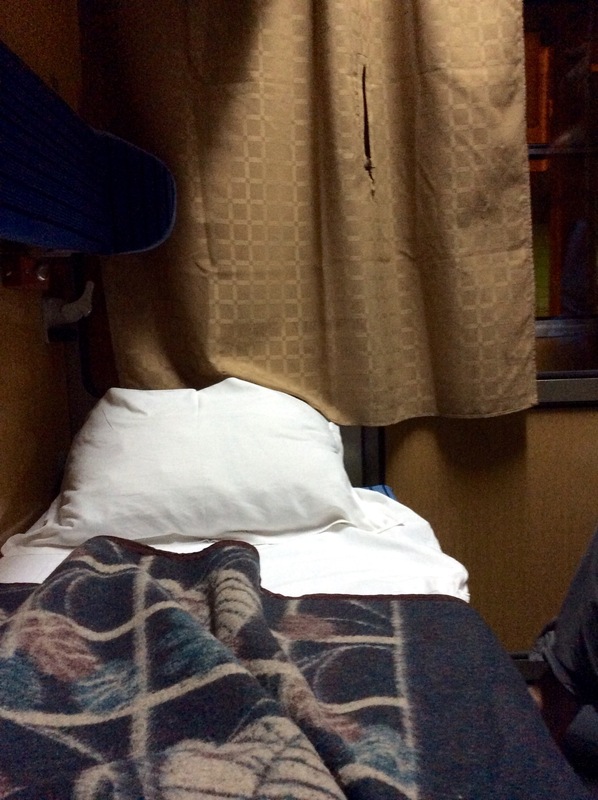 The conductor handed us each a sheet and pillowcase, and motioned us down the car to our compartment, where we found the seats folded down to make bunks, a pillow and a heavy woolen blanket. We had the lower berths, but there was no one on the uppers, so we had the compartment to ourselves. We made up our bunks and settled in. I wasn’t expecting to sleep well, but the gentle rocking of the train had its effect, and we both got a pretty good night’s sleep. 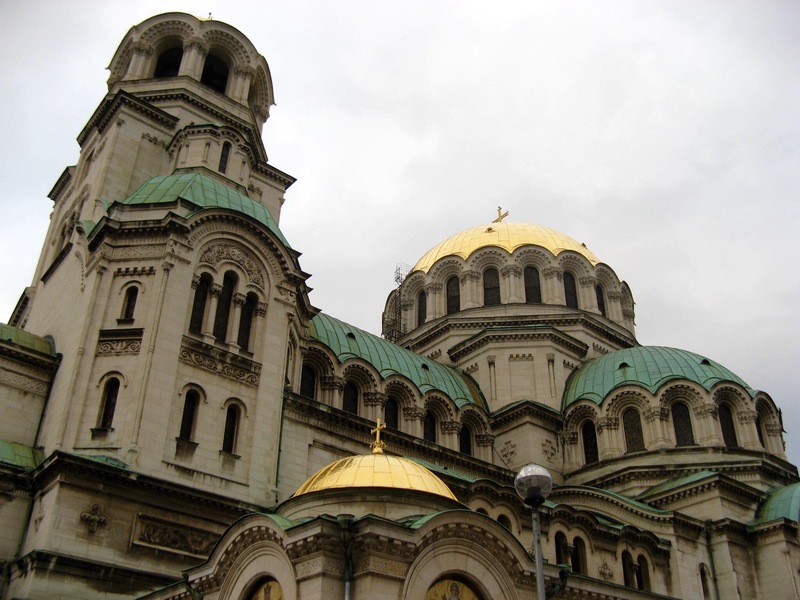 At 6:30am we stopped at the border for Bulgarian passport check, and by mid-morning we were in Sofia. We were greeted by another cold, grey day. The sun is not expected out while we are here. 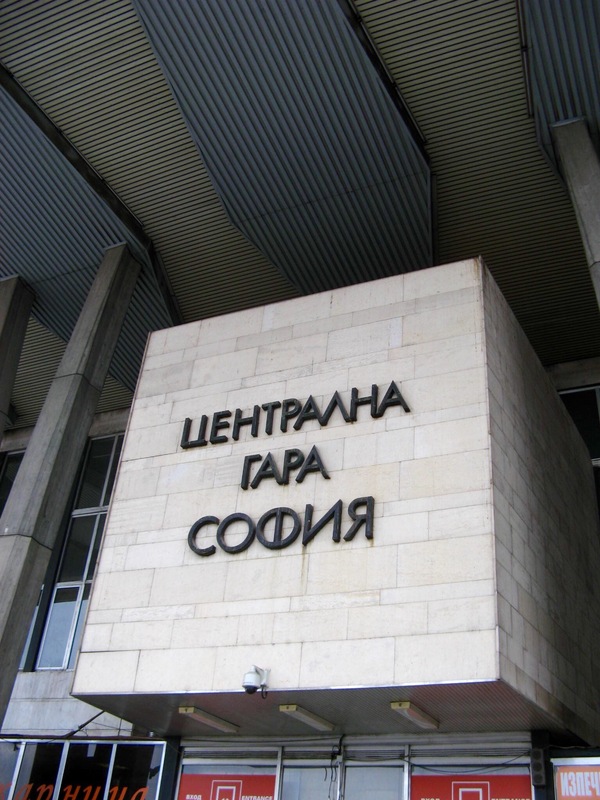 The Sofia station had not a trace of western alphabet, and looked very much like a dreary communist-era building. We walked the two blocks to our guesthouse and were pleased to find it clean and warm, with a little fridge and dining area. 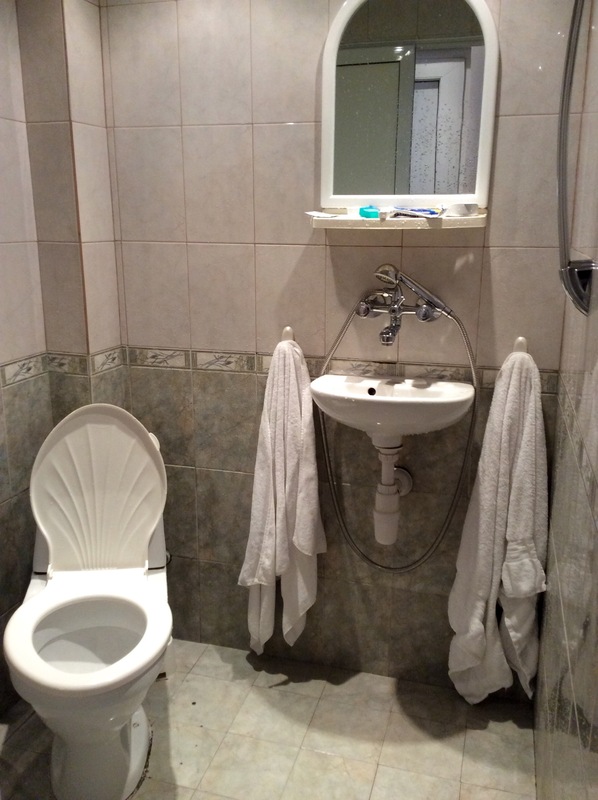 The all-in-one bathroom was the first we’d seen this trip – the faucets for the sink also control the shower hose, and the water just runs down a drain in the middle of the floor. An efficient idea, except the floor stays wet and slippery, so you must be careful. We found a Bancomat (ATM) and a place to change our leftover Serbian marks to Bulgarian lev. We met a street performer on his way to work, and I took his picture. 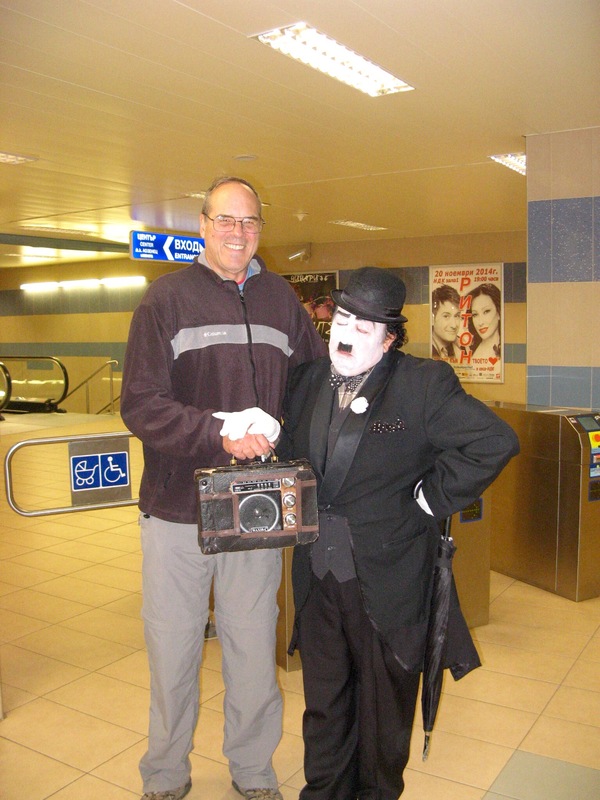 He immediately demanded payment, so Jim gave him all our Serbian coins. We took a walk to see what facilities were close by, and were happy to find a Billa (high end grocery). Like our supermarkets, Billa sells a variety of hot foods – cooked chicken, pork chops, sausage, and side dishes like scalloped potatoes with goat cheese, spanakopita, and sauerkraut. We were happy because we don’t see many cafes or restaurants. 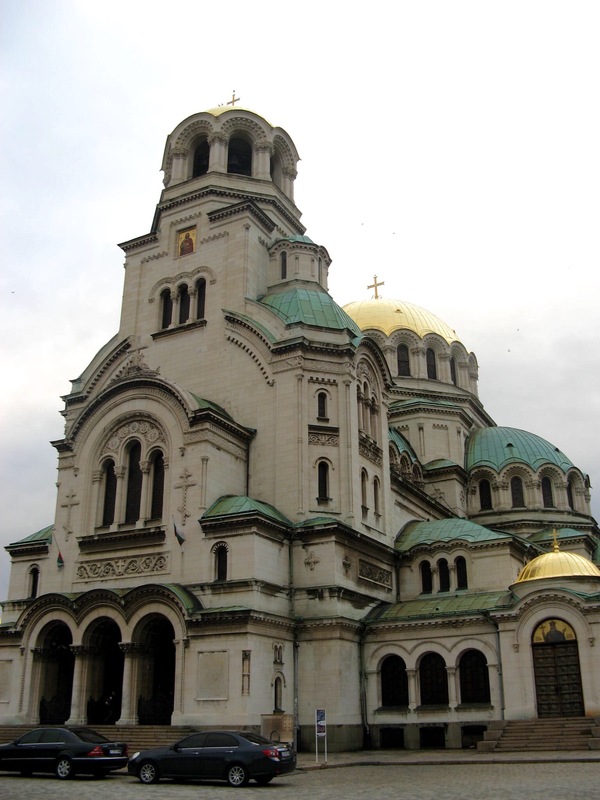 We do, however, see lots of casinos – anyone up for a Bulgarian gambling vacation? 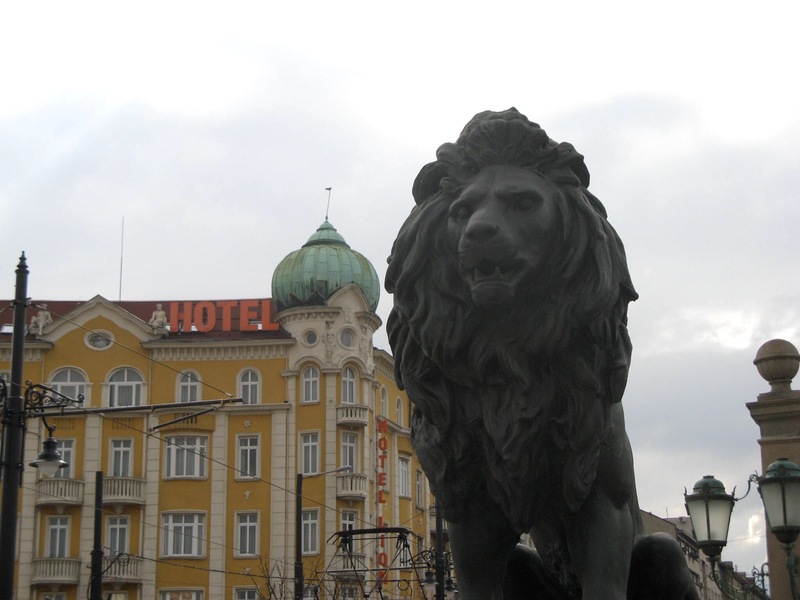 We walked over the Lion Bridge into the city center. 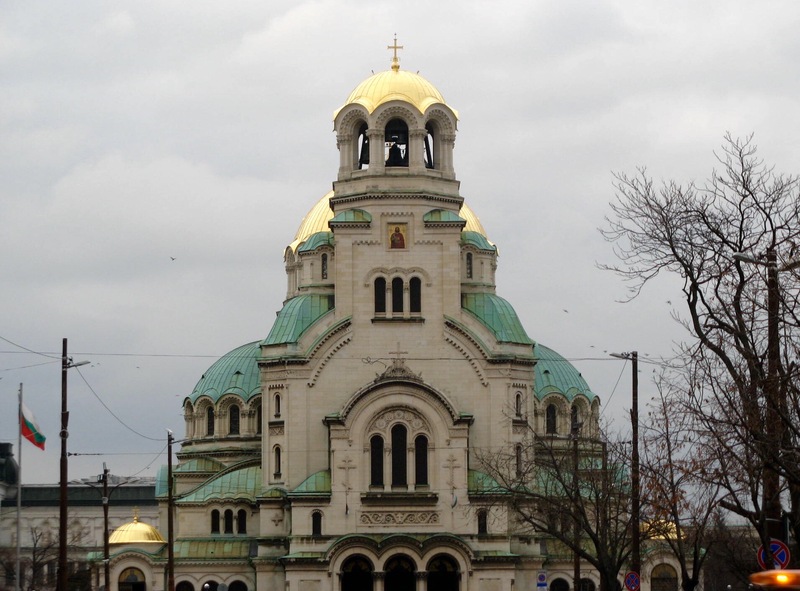 Our goal was the St. Alexander Nevsky Church, which we had no trouble finding, because a) it is very big, and b) our GPS works in Bulgaria. Thanks TMobile! 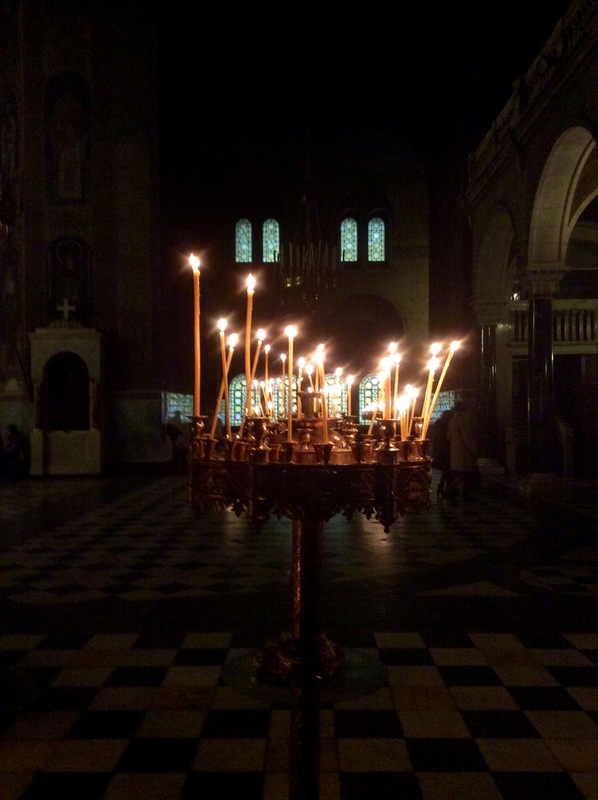 Inside was candlelit, making it hard to photograph, but so beautiful. 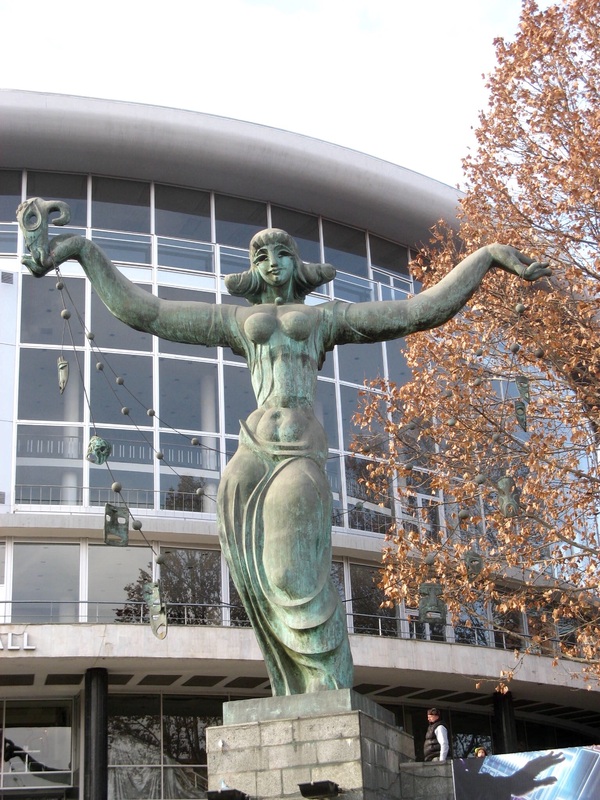 On our walk we admired some of the city statues. 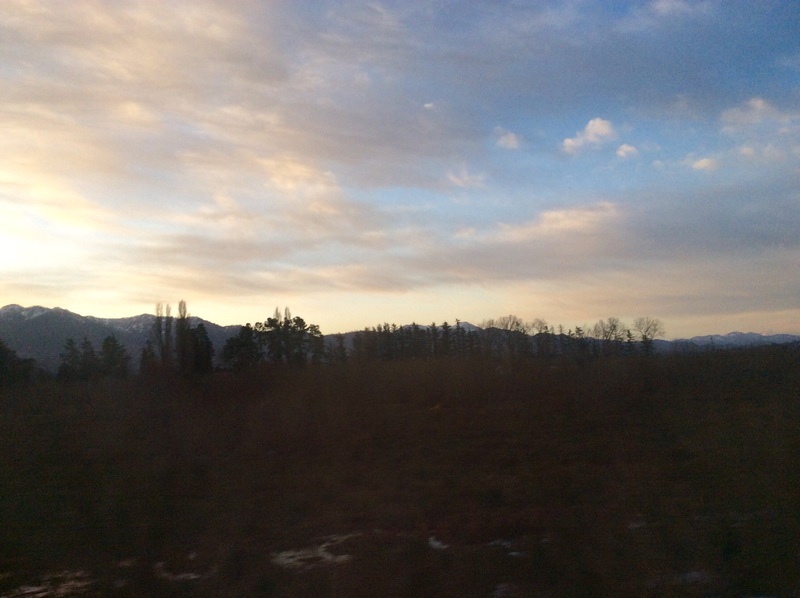 11/8 – one train a day travels the 6 hours down From Zagreb to the southern shore of Croatia, and today we were on that train – the only passengers in the first class car, thanks to our EuRail pass. We are leaving autumn for one more glimpse of summer. 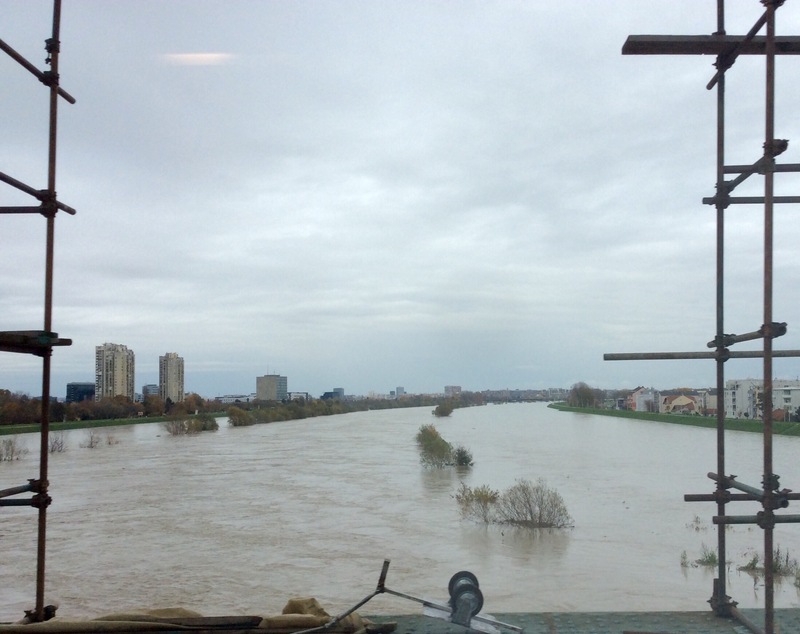 We saw additional signs of flooding, out our window. An hour into the journey, our conductor informed us that we would be stopping and getting on a bus. Again?? 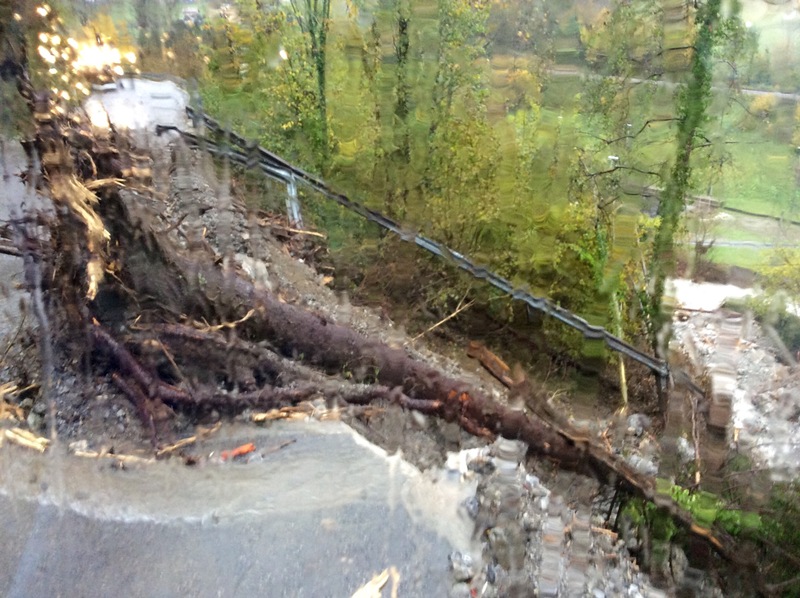 I asked if it was due to a flood, and was told no, there was an accident. Did the train hit a car? Was everyone okay? No, an old man, and no. So we got another bus ride, and time to contemplate how quickly an ordinary day can turn into something else. Back on the new train, we engaged our conductor in conversation. Her English is great, although she says her Italian is better. She has two teenaged daughters, one preparing for university, and one who would rather work for low wages. The economy is not good here, and really depends on the tourists. We arrive in Split only 15 minutes late, although we had lost an hour due to the accident. 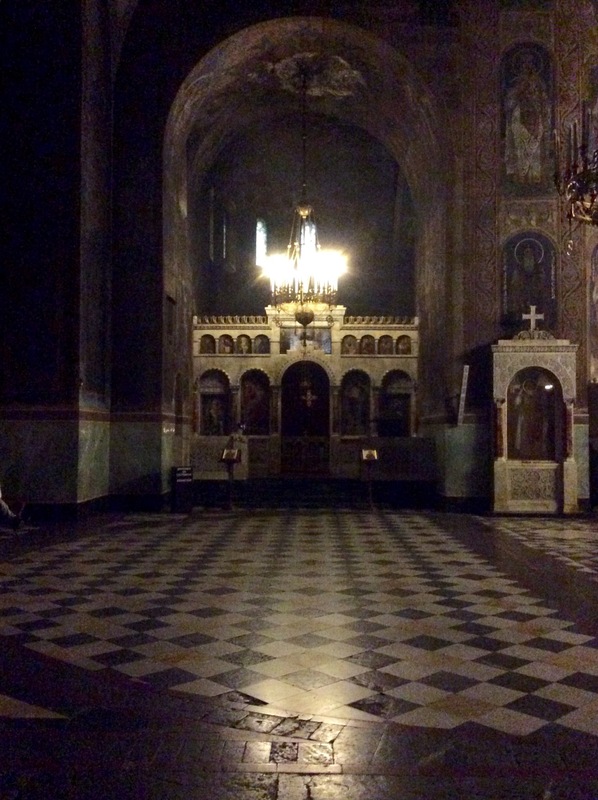 It is very dark, and there are no street names on the corners. Jim is trying to follow his map, but in a short while, we know we are lost. A woman stops and looks at the address – it’s this way! Or maybe that way… She walks on. Then a car pulls alongside, and a very American voice says, “You guys look lost. Do you speak English? Can I help?” He takes a look at the address, and recognizes it as the street where his in-laws live. He starts to direct us back the way we came, and then decides it would be easier to drive us there. Turns out he (a very tall man) went to Northwestern in Chicago on a basketball scholarship, and then moved back here with his wife and one year old daughter. We were only off by a block, and soon we are back on the street, thanking him profusely. Nice Person of Croatia! We walked up our new (pedestrian only) street, looking for #63. When we found it, it looked dark and empty. We rang the bell, and a grandmotherly lady came down from the upper floor. “Oh, you’re here! I wasn’t expecting you til tomorrow!” Turns out we had made the online reservation for the wrong day. Sheesh! Our host Pera, assured us it was no problem, and offered us some schnapps. Another Nice Person of Croatia! So here we are, a block from the beach. The weather is warm, and tomorrow we will see the city. 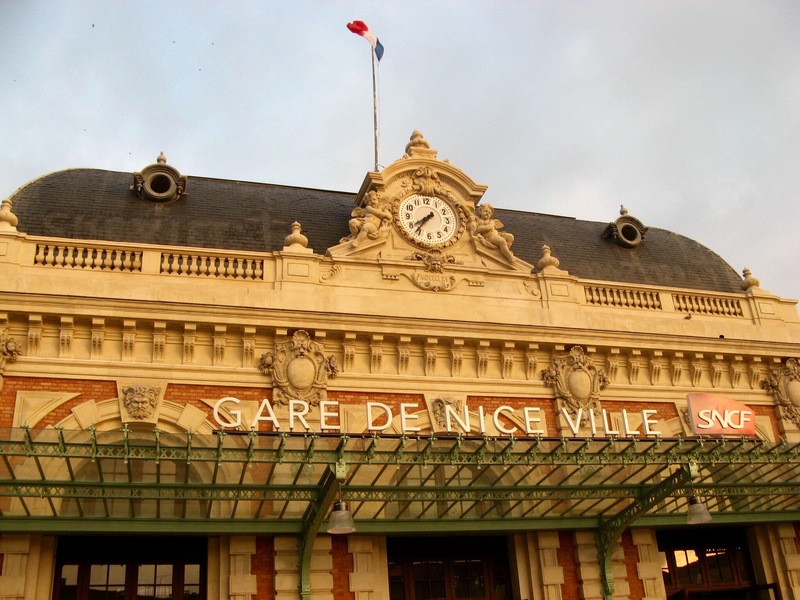 10/27 – we were scheduled on the morning train out of Nice for an hour’s ride over the border to Ventimiglia, Italy. The train was late, so I took some pix of the station. The train was packed, and we had to stand the whole way. When I looked at our next ticket, I realized that our 20 minute cushion between trains was now only 5 minutes. 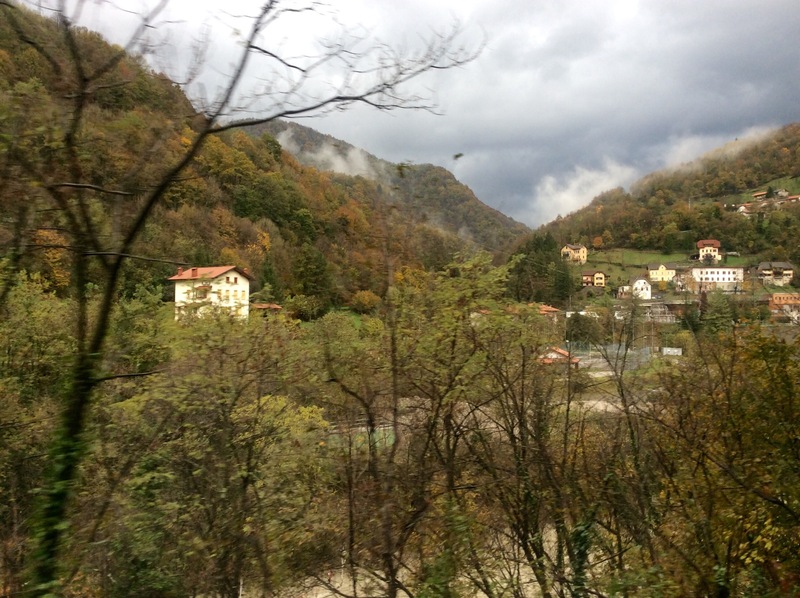 We would have to run an OJ through the station, find the right track and throw ourselves on the train to Genova. By the time we pulled into the station, our 5 minutes was down to 3. 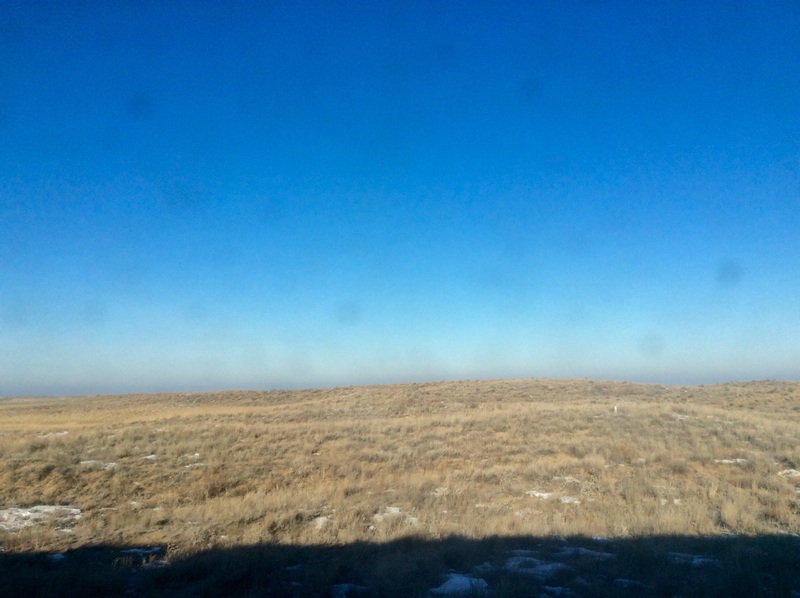 We positioned ourselves at the door, and jumped out as soon as the train rolled to a stop. As we ran for the steps, we saw others running too. There’s the display board! We yelled out the train number. Track 4! Track 4! We all ran for Track 4. An Asian couple in front of us was struggling with two huge rolling suitcases. As the man tried to lift one, Jim grabbed the other – go! Go! Go! Do you think we made it? Yes, we did. Wasn’t that an exciting story? We got to Genova by lunchtime, and had an hour to spare, so we walked out in the sunshine. 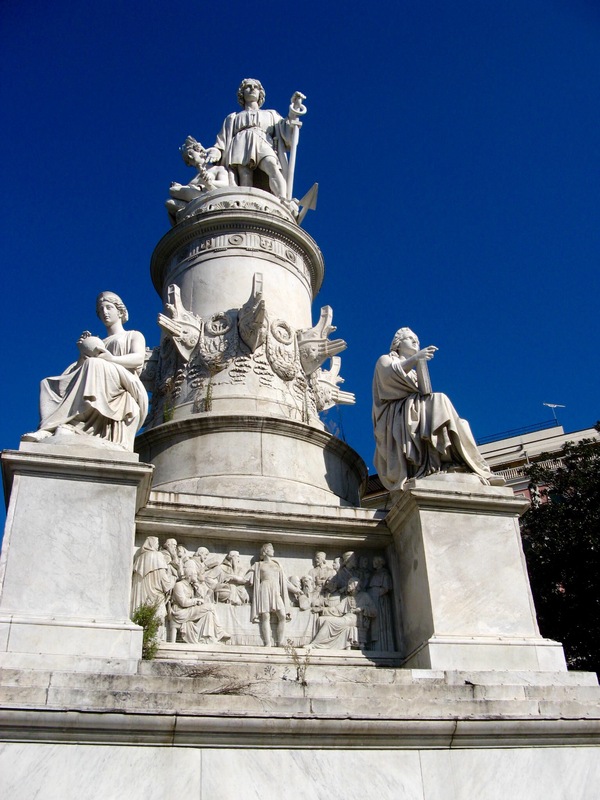 Here is a statue of Christopher Columbus, beloved in his home town. And now we are in Rome! A huge, gritty city. 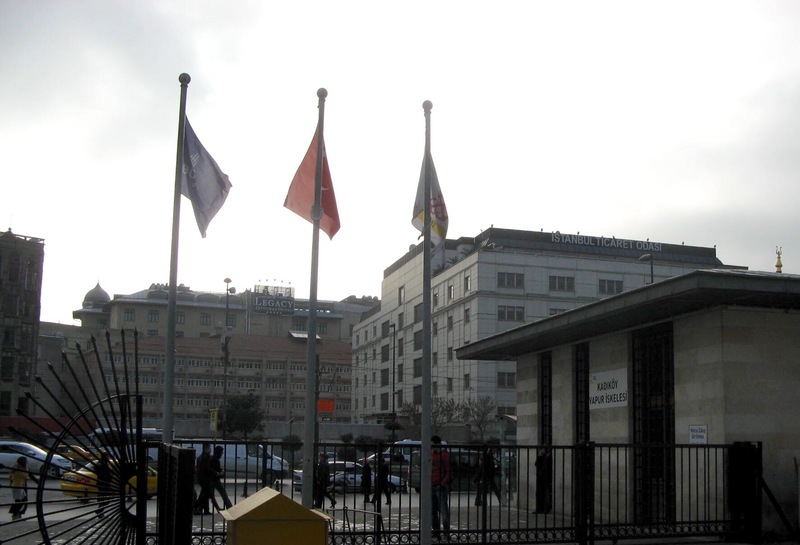 The Roma Termini train station must be a mile long, and has clothing stores, restaurants, and supermarket inside. Our debit card doesn’t work in the ATM here, and our European adapter plug doesn’t fit in the wall socket here. What have we done? But this city is a big part of our next pilgrimage, and we’ve got work to do. Stay tuned!